Gigabyte launched today its latest 9 series G1 Gaming motherboards based on the Intel Z97/H97 Chipset with support for the latest Intel 4th and 5th generation Core processors. The new G1 Gaming motherboards are packed with absolutely everything user will need to build an uncompromising, high-performance gaming PC. 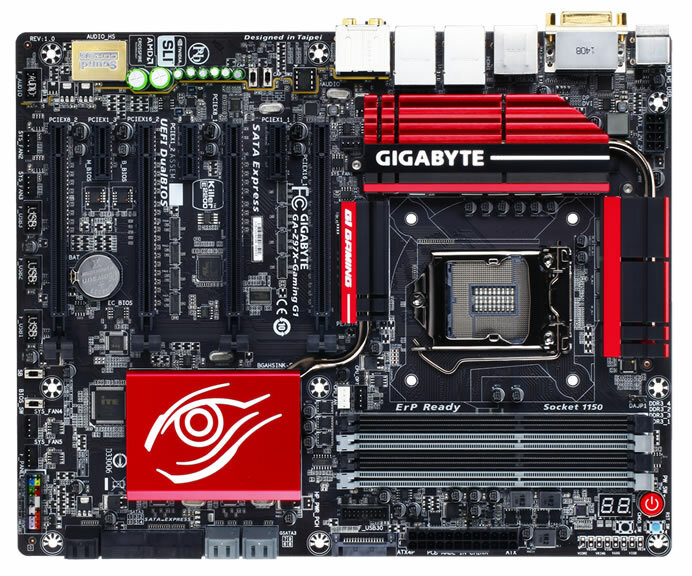 The Gigabyte G1 Gaming motherboards deliver a range of exciting features such as the GIGABYTE’s Amp-Up Audio and several other advanced technologies for serious gamers and audiophiles, including the world’s first onboard OP-Amp socket. Gigabyte 9 series G1 Gaming motherboards feature optimized support for AMD CrossFire configuration and NVIDIA SLI technology. GA-Z97X-Gaming G1 WIFI-BK can support either 4-Way CrossFire or 4-Way SLI action, delivering the ultimate in graphics performance for gaming enthusiasts who demand the highest frame rates without compromising on resolution. 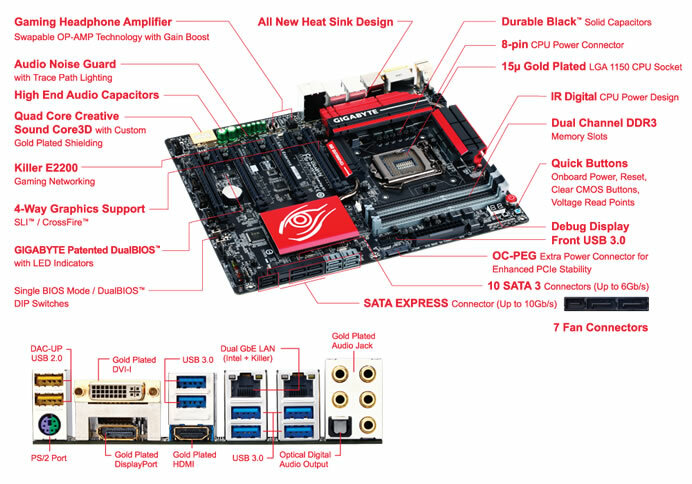 Combining world’s first Quad-Core Creative Sound Core3D Audio Processor Plus Advanced Creative SBX PROSTUDIO Audio Suite, the Gigabyte G1 Gaming motherboards lead the way in terms of audio quality. The Creative Sound Core3D processor is shielded by a gold plated cover which eliminates electrostatic interference. LED trace path lighting Illuminates to show the separation of the PCB layers. 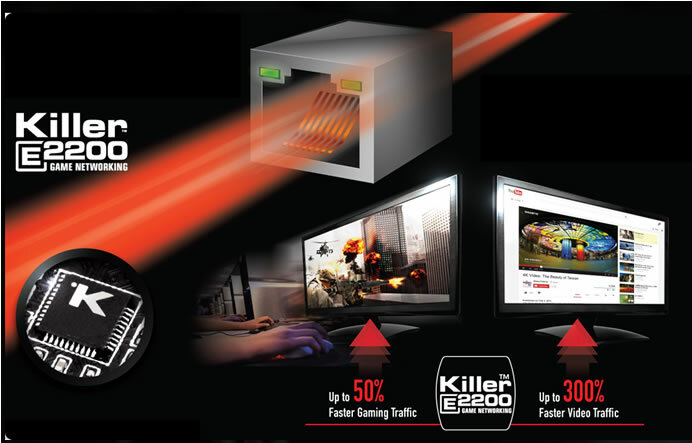 GIGABYTE 9 series G1 Gaming motherboards feature the Killer E2200 from Qualcomm Atheros, a high-performance, adaptive gigabit Ethernet controller that offers better online gaming and online media performance compared to standard solutions. Ntel Gigabit LAN networking, delivers several performance-enhancing features such as advanced interrupt handling to help reduce CPU overhead and Jumbo Frame support for extra large data packets. Gigabyte 9 Series G1 Gaming motherboards come equipped with a gold plated CPU socket, which means that enthusiasts can enjoy absolute reliability and longevity for the CPU socket overtime, without having any concerns about corroded pins and bad contacts. Tor improved connectivity and long lasting durability of some of the most vulnerable I/O, Gigabyte G1 Gaming motherboards pack top quality gold plated audio and HDMI connectors. READ World’s thinnest gaming laptop Razer Blade is thinner than a dime!